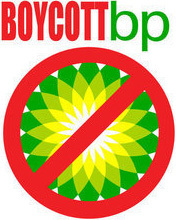 BP’s PR efforts around the Deepwater Horizon disaster have pitted traditional media (such as TV and newspaper ads) against social media (such as the Boycott BP page on Facebook that has received close to a million “Likes” or the BP logo competition run by Greenpeace). If a brand wants to influence consumer opinion within this social ecosystem it must play by a set of rules seemingly foreign to BP–transparency, authenticity and accountability. Social networks allow people to bypass traditional media outlets, talk among themselves and come together around shared values. Ecological damage on such a historic scale tapped into our shared concern for the ocean, its marine life, and the planet we leave for our children, and so social media amplified consumer outrage around the world. BP also expanded the scope of its marketing efforts in newspapers during that time, running ads in 17 states–including Florida, Louisiana, Alabama and Mississippi–up from just two states last year. 1. CYNICAL START–In late July 2000, BP launched a massive $200 million public relations and advertising campaign, complete with full color ads in magazines, introducing the company’s new slogan, ‘Beyond Petroleum’, and a yellow sun as its logo. It was widely criticized as ‘greenwashing’ and for co-opting the language and messaging of environmentalists. 7. UNCHANGED INTENTIONS–BP’s announcement that it intended to continue to drill in the Gulf using deep-sea rigs that take even greater risks is more than untimely. It indicates a ‘business as usual’ attitude towards the drilling industry and its role in the disaster. 9. OUT OF SIGHT, TOP OF MIND–While BP poured an excessive amount of dispersants into the Gulf to reduce the “appearance “of oil, scientists assure us that it is there–specifically in the form of a 22-mile long plume – and not going away anytime soon. Such acknowledgements should be coming from BP that has instead turned its attention to pending court cases and new drilling opportunities.